In a previous post, I’ve talked before about the real problem with socialization. It’s hard to find activities that you want to do, moms that you want to hang out with and kids your kids want to hang out with. 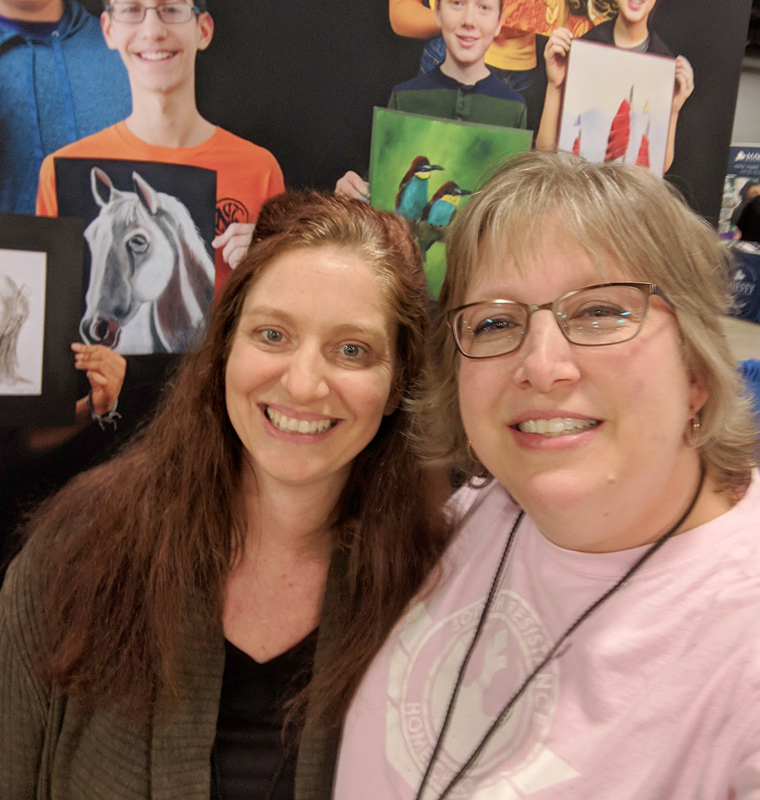 Making connections and finding homeschool friends. The struggle is real. 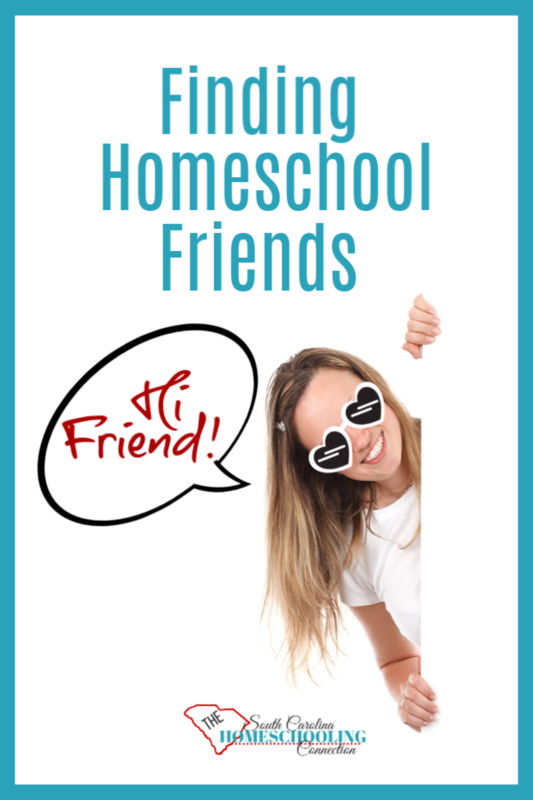 I can tell you as a homeschool leader, it’s even harder to make connections and find friends. Some people worry that I might be silently judging them and even pull their “homeschool card.” Others presume I’ve already got lots of friends and wouldn’t want to hang out with them. Honestly, it’s really rare when I get invited to hang out and socialize. It’s lonely at the top sometimes. Life gets busy and messy and complicated. And some of y’all are like herding cats. It’s exhausting work sometimes. I’ve seen homeschool leaders burn out from the workload and loneliness. 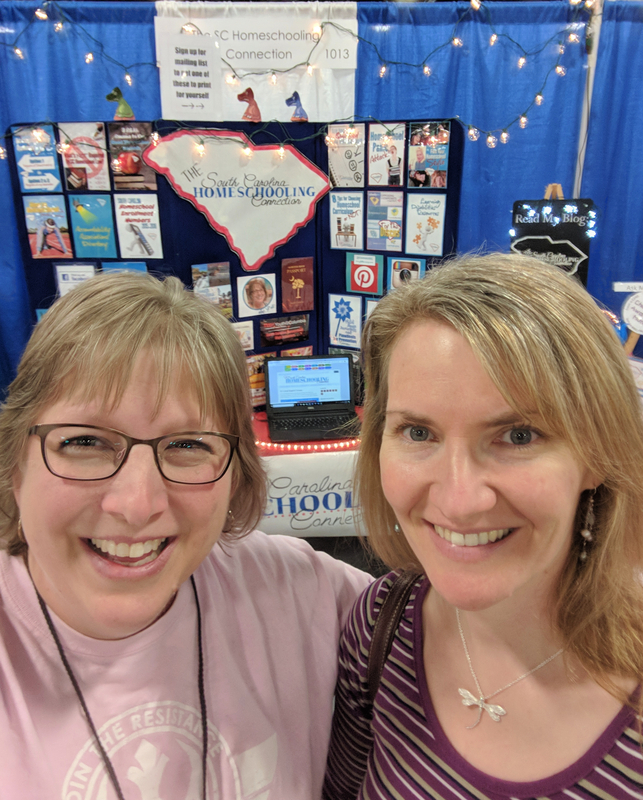 So, one of my goals is to build meaningful connections for homeschoolers and homeschool leaders in South Carolina. We need each other. That is why I named this blog THE CONNECTION. 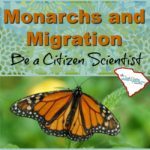 I have declared myself the busybody of homeschooling in South Carolina. (I took a vote and I won.) 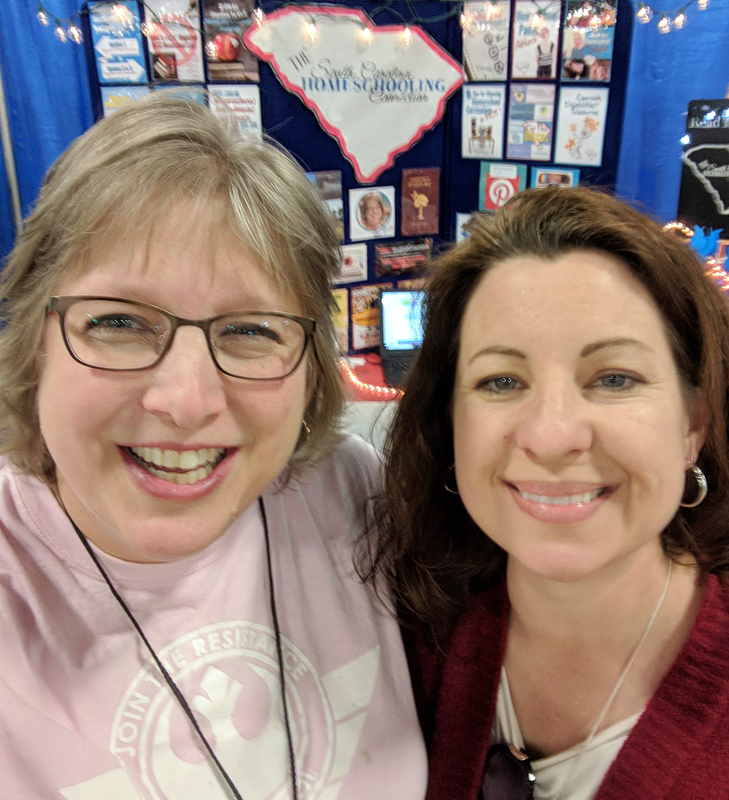 Meet a few of my homeschool friends who I recently caught up with at the Great Homeschool Convention in Greenville. 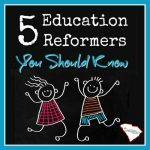 I’d like to introduce you these heroes of homeschooling in South Carolina! We are all on the same side. And it’s okay to make homeschool friends with other group leaders and the other group members, too! This is Carol Brownwell from HEART Homeschool Association. Their group is local to the Anderson/Easley area. She believes in face-to-face accountability with her association members so they require in-person records checks. 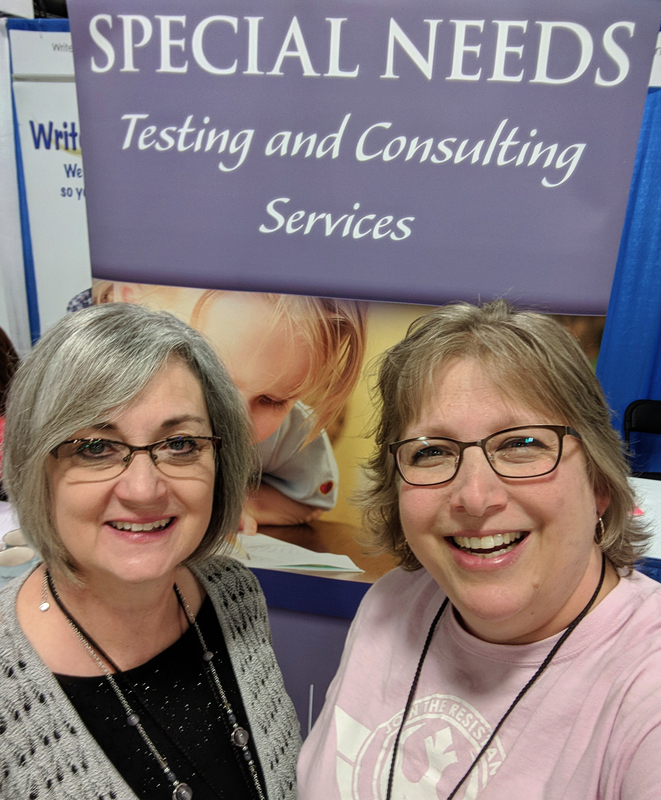 This is Susan Blackwell from Special Needs Testing and Consulting Services. She offers curriculum counseling no matter what accountability association you choose. 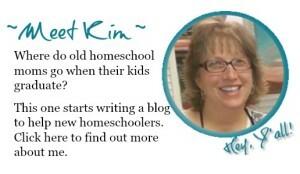 She’s a wealth of information and encouragement for special needs and gifted homeschoolers. This is Wendy Powell from Association for Homeschool Excellence. A4HE is a new association that opened in 2018-2019. She offers statewide membership at affordable family rate. 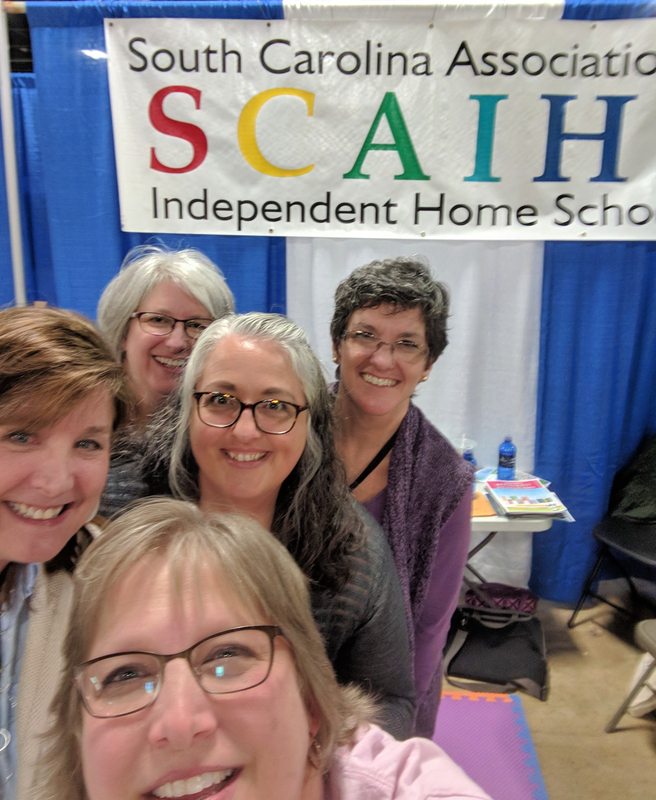 This is Emily Lipscombe, Rebecca Pope, Nancy Willoughby, and Beth Martin from SCAIHS. They pronounce it like a word: “Skays” (rhymes with days). There’s a few more folks on staff with these rascals. 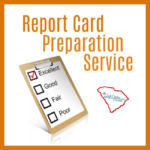 They’re the full-service accountability association with statewide membership, curriculum counseling and record-keeping assistance. They’re named in Option 2 code of law, but they actually get along with us 3rd Option homeschoolers. This is Lara Caldwell from TSCHAA. (I don’t think there’s a way to say it as a word, so I just try to recite the initials). She offers statewide accountability at an affordable family rate. She is a strong advocate in upholding the minimum requirements of the law so parents have the most freedom in directing their child’s education. 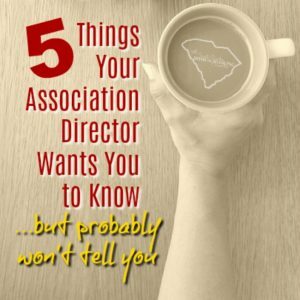 I’m guessing it’s also the biggest accountability association in SC. 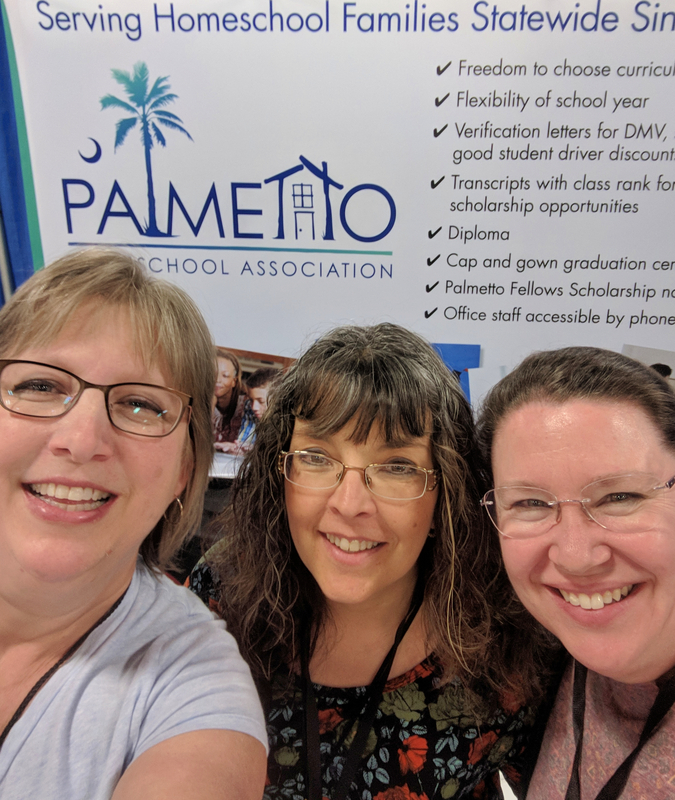 This is Denise French and Tara Bruce from Palmetto Homeschool Association. They offer statewide accountability with freedom and flexibility. Their high school department offers transcript assistance and a cap/gown graduation program. This is Christina Vickers. 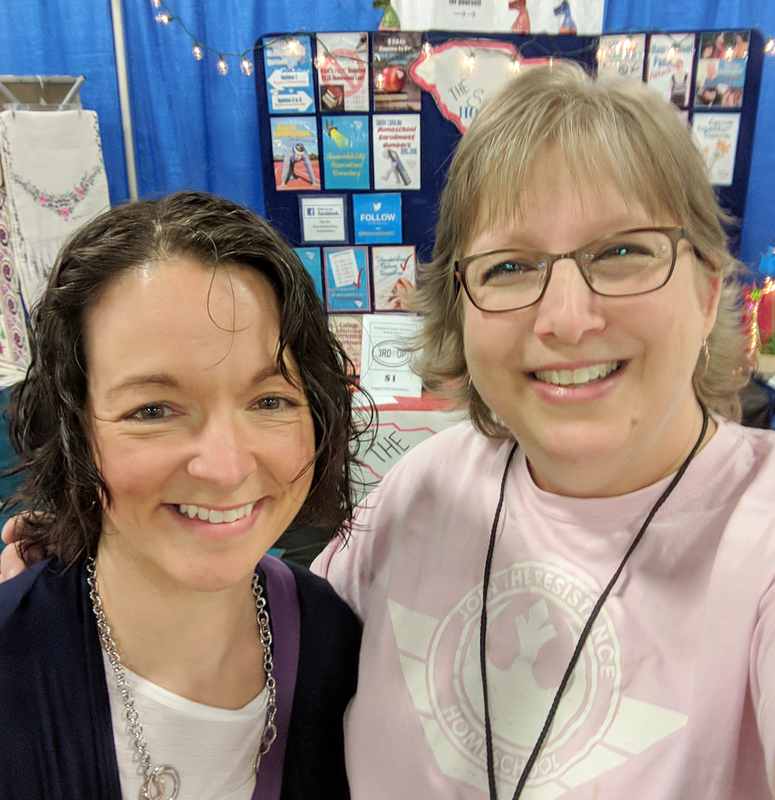 She’s a new friend–and new director at Greenwood Christian School Home Educators Association. This association has a close relationship with Greenwood Christian School where homeschoolers may attend part-time. You might think the association directors are in competition with each other. But, I hope this helps you see that so many of us actually get along and help each other. Homeschooling is growing–our numbers are increasing. There’s room for all the homeschool groups and group leaders. Every group is different–and we hope you’ll find one that’s right for you. It’s a rising tide. I say, a rising tide lifts all boats. I’d love to get all the support group and co-op leader all collaborate and cooperate too. 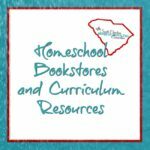 If you are a group leader, come join me at the SC Homeschool Group Leaders Roundtable.